Email is one of the most commonly used methods of attack on an organization. 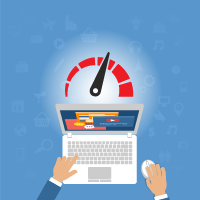 Spam – unsolicited emails sent in mass quantities – can cause serious problems beyond annoyance. It is commonly used as dangerous phishing attempts to maliciously obtain sensitive information, including credit card numbers, passwords, usernames, and other personal and company information. 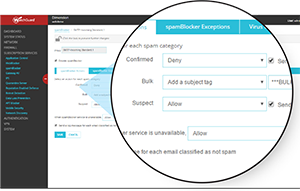 WatchGuard spamBlocker provides the advanced security your organization needs with real-time, continuous, and highly reliable protection from spam and phishing attempts. 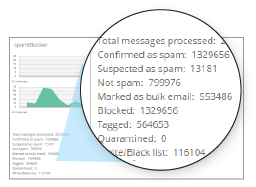 Using the industry-leading Recurrent Pattern Detection (RPD™) technology, WatchGuard spamBlocker instantly identifies outbreaks as they emerge for continuous protection from email-based threats – blocking nearly 100 percent of unwanted and dangerous emails. RPD also provides an extra layer of malware protection as it immediately detects emails carrying viral payloads, and with virtually no false positives, you can be confident that important, legitimate emails are received.